Property 8: GetAwayHome Private Backyard near everything you need!!! 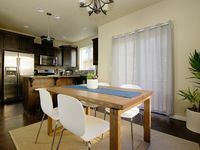 Property 9: Orenco Executive (private en suites, gourmet kitchen, private patio). Property 24: Large 2 Bedroom Townhouse, 2.5 Bath, Sleeps 5, Int Garage, Heart Of Nw Portland. Property 26: Sleek townhome w/patio - walk to amazing restaurants, breweries, trails & shops! Property 27: Great NW Portland Location Special Summer Rate! Property 28: Beautiful space w/ patio and central location - walk to absolutely everything! 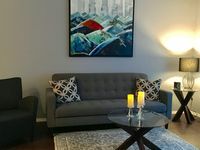 Stunning and art-filled city condo with free WiFi, cable, and central location! Property 42: Stunning and art-filled city condo with free WiFi, cable, and central location!